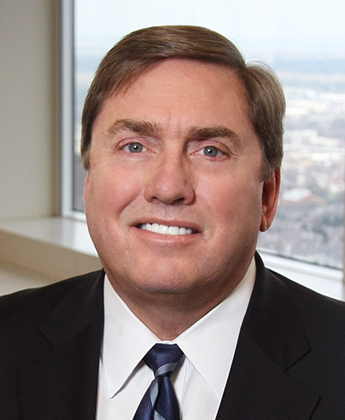 Robert J. Hicks is the Chairman and Managing Partner at Taft Stettinius & Hollister. He was born in Pittsburgh, attended law school in Virginia and has lived in Indianapolis for about 50 years. He’s also worked in Toronto, Chicago and Manhattan. Robert and his wife Thalia have five children together, ranging in age from 30 to 19. Thalia lost her mother to breast cancer in 2007, and Robert has actively supported Susan G. Komen over the past few years. Because Komen Central Indiana is an outstanding, impactful, and meaningful organization and cause; because breast cancer has impacted our family, and because I wanted to support my coworker and Komen Board Member Jayna Cacioppo in her work with the Pink Tie Ball. Random fact that not many people know about you: I started my college days at Butler University. Other fun facts: I like long, scenic motorcycle trips through the mountains. I taught tax, accounting and law at Butler for over eight years.